BattleForge was EA Games’ attempt to hybridise (and thus cash in) on two popular genres: real time strategy and collectible card games, all set in a medieval fantasy world. The game’s reviews were generally positive, although hardly enthusiastic. While the game’s quality may be debatable, what is beyond doubt are its excellent production values, which fortunately extends to BattleForge‘s music. The composition and recording of the soundtrack was outsourced to prolific German game soundtrack production company Dynamedion. The company has a long-standing track record in recording orchestral game soundtracks, which made them the ideal choice for this scoring project. In order to push both the game and the soundtrack, EA Games took some unusual — but most welcome — steps by releasing three tracks from the soundtrack as a free download some months before the game was available. They even released a (very short) video making-of of the score, which contained images of the game and the orchestral recording sessions — something I would love to see more often with high-profile game score releases. 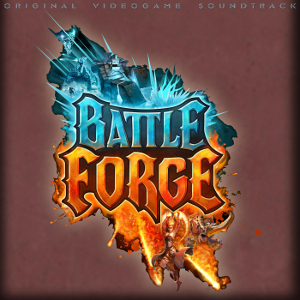 After a gestation period of about one year, how did the soundtrack for BattleForge turn out? The approach taken by Dynamedion’s composing team that handled BattleForge — consisting of Tilman Sillescu, Alexander Röder and Alex Pfeffer — is clearly explained in the making-of video mentioned above. To musically represent each of the four different sets of cards the player can use in the game — representing Fire, Frost, Nature and Shadow — each composer would score one of these elements. Somewhat confusingly, the video only mentions three elements, leaving out Shadow, and ultimately, the three composers ended up sharing scoring duties for Frost, Nature and Shadow. In any case, the idea behind this approach was to give each element its own unique sound (while still creating a coherent musical whole), with the music in the game then directly interacting with the different custom card decks a gamer would compile. If such a deck only consisted of Frost cards, the gamer would only hear Frost tracks, while some Nature cards added to the deck would result in the inclusion of a few Nature songs in the soundtrack. Unfortunately, such interactive scoring techniques are difficult, if not impossible to represent on a soundtrack release, having to make way for a more linear listening experience. Still, the described approach seems to promise a soundtrack filled to the brim with orchestral variety. 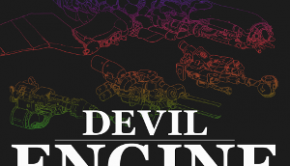 However, there’s second facet to the composers’ way of scoring BattleForge that ultimately runs directly counter to the notion of providing a different soundscape for each element. As Tilman Sillescu put it in an interview: “As we saw the first screenshots from BattleForge, it was immediately clear that the music had to be top notch […] Big orchestra, big choir, lots of percussion.” And for sure, the music on this soundtrack has EPIC FANTASY SCORE written all over it. 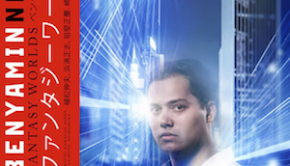 That in itself isn’t necessarily a problem, but in their attempt to consistently apply an “epic” sound to the game’s music — the term “epic” following a rather narrow definition here — the composers squander some of the particular characteristics of many tracks and rob them of a good part of their personality. This is not to say that the soundtrack isn’t fun to listen to: the composers’ skills are never in doubt, and each and every track is richly orchestrated. But the over-reliance on some fantasy score staples — a dominance of sweeping, leisurely paced melodies, mighty brass, rhythmic string ostinati, and a general de-emphasis of woodwinds — results in a sameish sound that is much more limited in regards to orchestration, emotional expression or tempi (don’t expect to find anything approaching an allegro on this soundtrack) than one would expect from a score whose explicit aim it was to present a number of different soundworlds. The album opens with the Frost cues, all of them composed by Sillescu. According to the making-of video, the Frost tracks are supposed to sound icy, featuring a lot of choir, but ultimately, they’re probably the most generic sounding works on the soundtrack, hardly giving off a chilly feeling. “Lords Of The Sky” opens the soundtrack with propulsive, busy strings (the violins would benefit from a crisper recording here), soon joined by a mighty trombone melody and brass accents. Then the strings take over the heroic melody and by adding the choir and heavy percussion, the track builds to an impressive march, which is slightly generic in its sound, but showcases Sillescu’s compositional chops through the number of countermelodies and orchestral layers present. The same goes for “Escape From The Underrealm”: rhythmic strings (in need of a clearer recording), overlaid with a majestic trombone and horn melody, rich orchestrations, and the whole thing builds to a big climax when choir and the whole brass section join in. The track’s quieter middle section fortunately adds some variation by including an ethereal female choir. “Northern Steel” focuses on expressions of determined rhythmic power, built on staccato stabs by the whole string section and an equally accented choir melody, accompanied by a mysterious two-note ostinato played by the oboe… before the whole thing turns into another bombastic march. To avoid any misunderstanding, while none of these tracks will win any awards for stylistic variety or innovation, they’re fun to listen to. This is helped by the fact that they don’t outstay their welcome, usually clocking in at just a bit more than two minutes. And a rather generic sound of course doesn’t mean that the music can’t still be memorable. “Light Of Winter” is best described as “every music ever written for a fantasy movie trailer”, but it’s undeniably catchy, despite its hackneyed structure. More ostinato string figures, bells and percussion provide the rhythmic background for a versatile melody first played by the celli, then by the violins. After a slower, quieter middle part featuring lovely melodies for horns and violins, the choir joins in, singing the melody from the piece’s beginning fortissimo (again, a more full-bodied recording would be much appreciated), driving the cue to its gloriously over-the-top conclusion. It’s derivative, but entertaining, and leaves room for intriguing compositional details; the string/choir melody is a four bar theme — consisting of a rhythmic three note motif repeated once, and a more melodic seven note motif — and the theme derives its effectiveness out of the tension between the rhythmic and melodic elements it combines. Finally, “Shores of Wintershade” closes the soundtrack’s Frost section with a more lyrical track — a welcome change of pace — which opens with a clarinet solo, before the celli sing a broad melody, giving the track an expansive feeling of roaming fantastical landscapes. The cue even goes as far as incorporating a piano — recorded not so much as a solo instrument, rather as part of the orchestral texture — during the piece’s climax, providing some much needed sonic variety and helping to turn this composition into one of the soundtrack’s highlights. The majority of the following Nature tracks were composed by Röder, and they vividly demonstrate the conflict inherent in the two different sides of the musical approach taken by the composers. “Deep Roots” begins with a charming combination of light percussion instruments and woodwind accents, only made more lovely by a flute sole and a rising and falling legato string melody in the background. But soon, the same bombastic march elements we’ve heard in previous tracks take over, as if the composer was afraid to write a piece that didn’t make use of the whole orchestra. It’s not like the Nature tracks are wholly identical to the Frost tracks. Indeed, there’s a greater reliance on woodwind solo, light percussion, and one even hears the occasional harp flourish, imbuing the pieces with some stylistic individuality, but only to a limited degree. “A Spirit Of The Forest” starts out with a more subdued atmosphere than any other piece so far on the album and at one point segues into a beautiful duet for clarinet and oboe with a light choir accompaniment. And “Forge Of Creation” is heavy on plaintive woodwind melodies, which work well when set against the pulsating, swelling and ebbing violins. But instead of exploring these sonorities further, the compositions remain bound to the composers’ particular idea of that big, epic fantasy sound, and the different musical styles supposedly featuring throughout the soundtrack mostly rather feel like flourishes added to the same formula. Again, the music is expertly composed and still enjoyable to listen to, but there’s a fair bit of potential that’s been wasted here. Things start to look brighter towards the end of the soundtrack’s Nature section. “Whispering Ruins” features the most organic combination of fantasy bombast and the lyrical elements that represent nature’s forces, with lighter textures that permit the woodwind soli and the harp to shine through better. Like the score’s Frost section, the Nature tracks end with one of the album’s highlights. “Ascension,” somewhat predictably, opens with an ethereal female choir, before a sweeping string melody sets in, accompanied by an ostinato flute motif. The track communicates a sense of awe and wonder very well, which is only heightened by a later countermelody in the horns and a persistent violin figure. Although the track then peters out, instead of topping its development section with a spectacular finale, it makes for an ear-catching listening experience. The score’s Fire tracks put the emphasis on the orchestra’s percussion section, demonstrated in “A Storm Of Fire”, which starts with thunderous percussion and throbbing strings, before harsh brass fanfares set in. On its way to the unavoidable big climax, the track goes through a number of rhythmic changes and incorporates the choir and an insisting, descending two-note motif in the violins. The Fire tracks’ stylistic particularity, however, is not so much generated through their percussion-heavy nature, given that previous cues already relied on this instrument group to convey determination and power; the fact that particularly “A Storm Of Fire” and “Slaves No More” sound like they’ve been lifted straight from Howard Shore’s score for the Mordor scenes in The Lord of the Rings: The Fellowship of the Ring doesn’t help much in instilling them with greater musical individuality. More interesting are some additions to the orchestral palette in “Brannoc At The Forge” and “Wrath Of The Sun Elves”, which both include ethnic woodwind and plucked string instruments, giving the compositions a middle-eastern flair that isn’t wholly original, but which is incorporated perfectly into the soundtrack’s sonic palette. “Brannoc at the Forge” unfortunately only makes scant use of these instruments, letting them play a few notes here and there, and “Wrath of the Sun Elves” has the ubiquitous combination of big brass, choir and percussion take over the track’s middle section, but still, the added variation to the soundtrack’s soundscape is more than welcome. As with the other sections, the Fire tracks end with a more expansive piece, “Echoes Of The Amii”. And again, it’s one of the best cues on the album, doing away with most of the brassy bombast and instead focusing on lively flute, oboe and clarinet solos against a rhythmic background of strings and light percussion, with the woodwind balancing the soundscape and giving it a much appreciated light touch. Moving on to the Shadow tracks, most of them composed by Pfeffer, it turns out that these compositions are the most stylistically original group of pieces on the album. Like the Fire cues, they heavily focus on percussion, but this time around, the rhythms don’t sound wild and furious, but rather cold, with an almost industrial feel to them. This is not only due to the different percussion instruments used, but also to the reverberant acoustic they’ve been recorded in, giving the instruments an echoing, somewhat hollow sound. More changes to the well-worn formula are introduced through the nature of the orchestral environment into which the percussion has been placed: simply put, the Shadow tracks sound a lot darker than anything else on the soundtrack. The brass on “A Slayer From The Shadows” and “Into The Night” sound much more menacing than heroic, the violins are finally allowed to play some dissonant material on “A Slayer From The Shadows” and “The Reckoning” (the latter also featuring some nervously fluttering trumpets), and the whole orchestral sound is a lot more bottom-heavy, with the double basses being given a more prominent role within the orchestral texture on “Bitter Chains” and “Into The Night”. Mind you, there’s even a bassoon solo to be heard in “A Slayer From The Shadows”, although it’s buried beneath the other instrumental layers. That track also features a ghostly choir, which sounds a bit odd though, given that in its attempt to sound haunted, the choir sings rather quietly, but is placed very forwardly through the way this composition has been recorded and mixed. 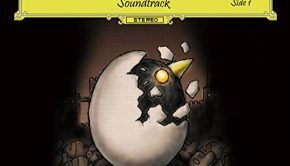 Generally, on the Shadow tracks, the orchestra rather provides layers of creepy background music (enhanced by synthetic, ambient sounds on “Bitter Chains”), instead of melodic material. None of these scoring techniques are particularly original — most of them actually will be well familiar from a good number of horror movie scores — but within the context of BattleForge‘s soundtrack, they sound refreshing and finally add some variety that goes beyond just changing the instrumental focus of the compositions. The effect can be quite stunning, as demonstrated by the score’s closing piece, “Gods Requiem”. Opening with a catchy deep string rhythm, it adds more and more orchestral layers, which are mostly rhythmic, not melodic in nature. When the choir joins in, it sounds placed too backwardly, but then we get to hear the heroic brass melodies earlier tracks have been saturated with, and because they have been absent for a few cues, these outbursts of sweeping material are much more efficient now than when the listener was confronted with them on almost every track. The fact that the major chord progression in the brass contrast beautifully with the dark orchestral background only heightens the composition’s appeal. What the listener will find on this release is undoubtedly well-crafted, richly orchestrated, and, at the same time, somewhat bland fantasy music that we’ve already heard on dozens of other occasions. The much-touted stylistic differences between the tracks representing the different elements exist, but only in the case of the Shadow cue do they amount to a substantially different soundscape. 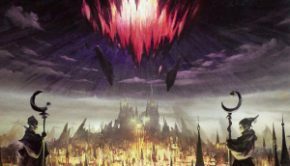 In the other cases, we get that big, generic fantasy sound that many composers seems to associate with the term “epic”, with some variations in regards to the orchestration thrown in for good measure. It would help if there were more memorable melodies to be found on the soundtrack, but still, even those cues that resemble beautiful sonic wallpaper are enjoyable to listen to, and some tracks are indeed richly atmospheric and will generate quite a number of repeat listens (I’d be lying if I said I didn’t listen to “Light Of Winter” on a regular basis for a while). At 48 minutes, the soundtrack’s slightly monotonous style isn’t too much of a burden, so if you’re looking for some more fantasy-styled music to add to your collection, or if you need some fitting background music for your next D&D-session, the BattleForge soundtrack will fit your bill nicely. Posted on August 1, 2012 by Simon Elchlepp. Last modified on January 22, 2016.